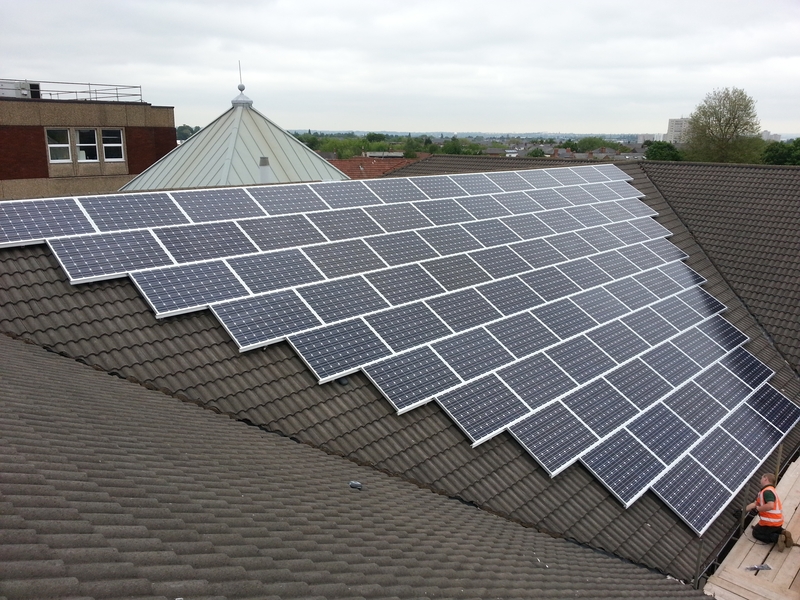 The Birmingham and Midland Eye Centre (BMEC) saw a photovoltaic panel installation in June, in an effort to cut energy use at City Hospital in Birmingham. The initiative was a partnership between Sandwell and West Birmingham Hospitals NHS Trust (SWBH) and energy supplier EON, who awarded the installation contract to The Green Electrician, to oversee 200 solar modules fitted to the roof of BMEC. Solar Photovoltaic (PV) is a method of generating electrical power by converting solar radiation (from the sun) into electricity. Photovoltaic power generation employs solar panels comprising a number of cells containing a photovoltaic material. 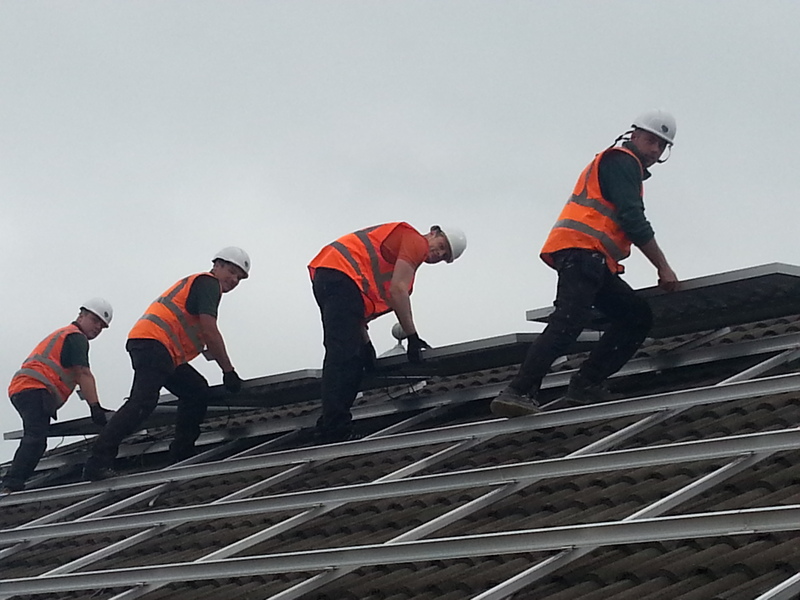 PV panels to save Trust around £8,000 per year! save 50 tonnes of CO2 per year, enough to fill 300 double-decker buses, and will save the Trust around £8,000 per year. Nick Lane, Estates Compliance Officer, said: “This is a great achievement for SWBH. The Trust has shown a commitment to sustainability and behaviour change and it has really paid off.